Home Economics is a subject where pupils are equipped with the knowledge, skills and competencies to help them to be resourceful in their day to day lives. Pupils will be stimulated and encouraged to explore real life situations related to health and nutrition, family life and independent living. The overall aim of the Home Economics department is to help our pupils' meet the demands of 21st century life with confidence. Home Economics has an important contribution to make to the whole school curriculum since The Northern Ireland Curriculum placed Home Economics at its core. Home Economics at Key Stage 3 is now a discrete strand of the Learning for Life and Work Area and is mandatory at Key Stage 3. Through the exploration of healthy eating, pupils develop knowledge, understanding and practical skills required for healthy living. They learn how to plan, prepare, serve, handle and store food safely. 2. Home and Family Life. This dimension provides opportunities for young people to understand the importance of the family as a caring unit. Pupils learn how to manage resources effectively as well as the importance of being discerning consumers. 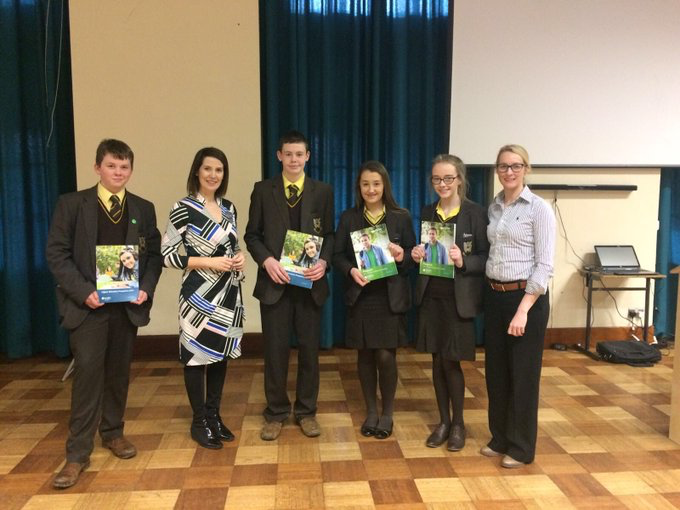 The GCSE Food and Nutrition course supports the aim of the Northern Ireland Curriculum to empower young people to achieve their potential and to make informed and responsible decisions throughout their lives. The course allows students to progress to GCE and/or other courses of study or employment. Students have opportunities to build on the skills and capabilities developed through the delivery of the Northern Ireland Curriculum at Key Stage 3. Nutrition and food is essential to everyone. We all need to eat. Northern Ireland's economy benefits greatly from the food our agri-food industry produces. The choices we make about food affect our health and well-being, so knowledge of nutrition and food science is important. We also need to know how advertising and food labelling can influence the choices we make about what we consume. To make the correct choices, we need to know about the principles of nutrition and how dietary requirements change throughout our lives. There are four assessment units: three externally assessed and one internally assessed. The course allows students to develop their subject knowledge, understanding and skills in nutrition and food science in relation to a work context. Assessment at A-level includes a range of question types, demanding evaluative tasks, extended writing, and synoptic assessment that encourage students to develop their understanding of the subject. The course gives students a sound basis for progression to higher education. The Department often use a range of outside agencies to provide up to date information on the content of Home Economics. A variety of talks, visits, demonstrations and trips are organised within the schemes of work with the aim of enhancing classroom learning and widening pupils’ experiences.